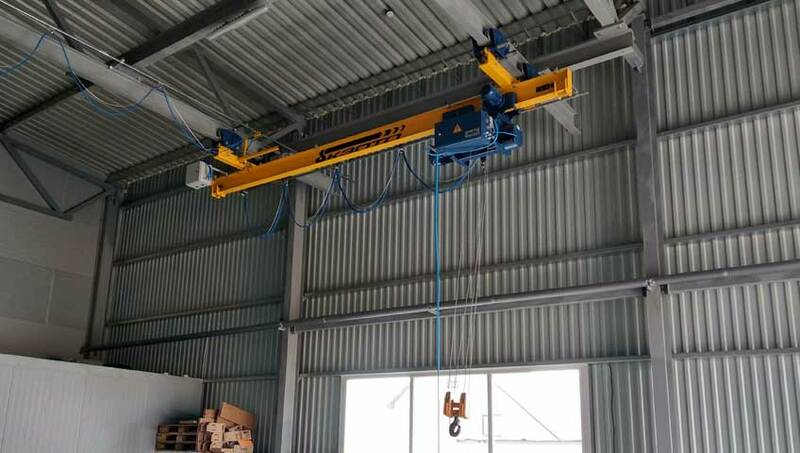 Another new electric suspended crane for a large auto repair shop specializing in the maintenance and repair of agricultural machinery has been manufactured at the «Kyiv Crane Machinery Plant LLC». 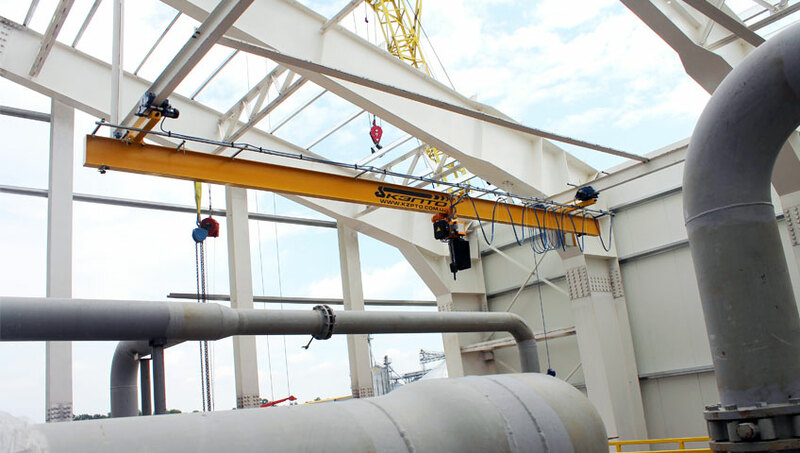 The customer had no previous experience in using cranes, so he relied on the experience and professionalism of our plant specialists in everything. 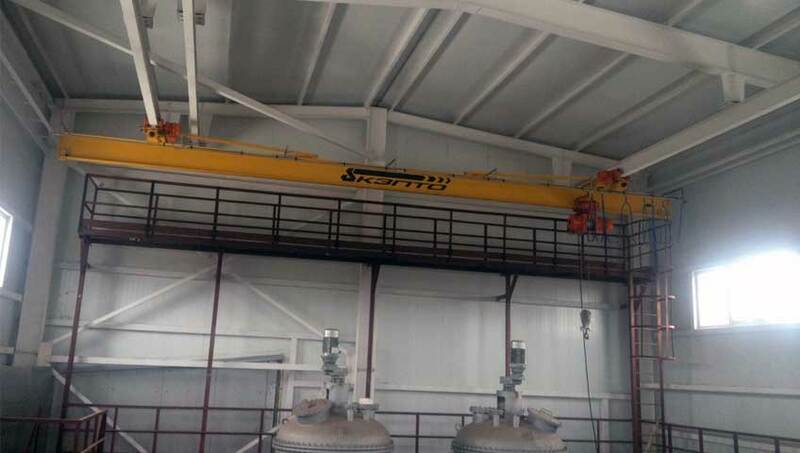 The collective of the «Kyiv Crane Machinery Plant LLC» plant in the shortest possible time had designed and manufactured an suspended bridge crane model KMP-3.2-12.0-8.815-6.0-A5 EX in explosion-proof version for a large Ukrainian enterprise for the production of emulsion explosives. 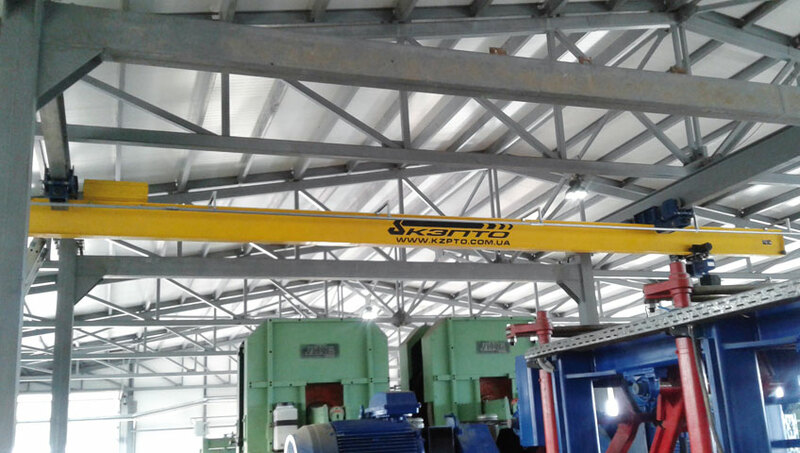 For the storage of grain and industrial crops, suspended crane beams of 5,0 t of type SCB-5,0-9,5-9,0-7,0-A5 were designed, manufactured and mounted. 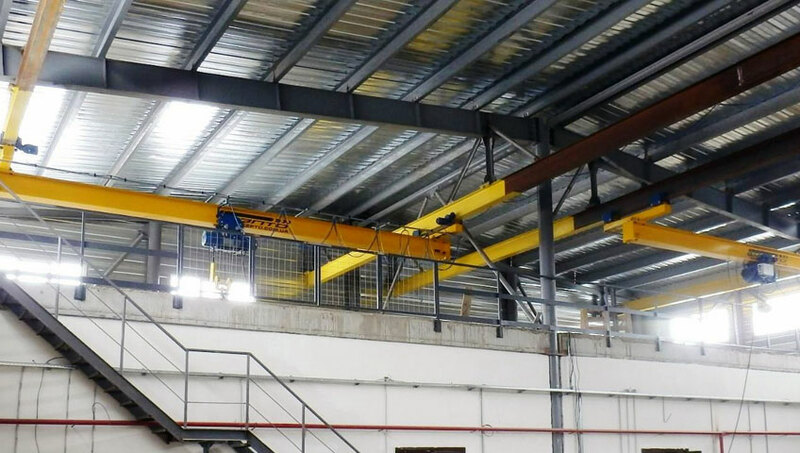 Designed and manufactured suspended bridge crane, as well as the installation is made by «Kyiv Crane Machinery Plant LLC» for the maintenance of existing machines and units woodworking enterprise.